Originally from Allentown, Pennsylvania, Rabbi Romberg has been serving Temple Israel and its congregates since he first arrived in Tallahassee in 2001. He writes a personal blog called The Jewish Observer which you can read here. Born to German Jewish refugees, Rabbi Romberg grew up celebrating Shabbat every Friday night and was a very frequent visitor of Temple. His mother was a teacher and treasurer of their synagogue in Allentown, while his dad was active in Brotherhood and built the Temple’s sukkah. Jack's student rabbi in his small congregation in West Virginia inspired him to become a rabbi. He always kept in touch with his old student rabbi who ended up being the rabbi at his wife’s congregation in New Jersey for 35 years and performed Rabbi Romberg’s wedding, as well as the naming of his daughters. Rabbi Romberg has always found the study of history and philosophy/theology fascinating which fits his interest in the study of Judaism. 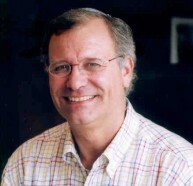 He entered Hebrew Union College – Jewish Institute of Religion (HUC-JIR) at age 42 following an 18-year career in business as the CEO of a furniture manufacturing business. During his time at HUC-JIR, Rabbi Romberg served for one year as a chaplain at the Philadelphia Geriatric Center, and for three years as the rabbinic leader for Beth Sholom in Fredericksburg, Virginia. Rabbi Romberg received a Masters in Hebrew Literature from HUC-JIR and earned awards in the areas of Medieval Philosophy, Rabbinic Literature and Midrash, as well as general academic excellence. Prior to his arrival at Temple Israel, he was a member of Temple Beth Or in Springhouse, Pennsylvania and served on the Board for 6 years, chaired the Ritual Committee, was the Chazzan Sheini and chanted Torah at High Holy Days. Additionally, he served on search committees for cantors and an assistant rabbi. Just two months after being ordained in May, 2001, Rabbi Romberg arrived in Tallahassee to serve at Temple Israel and has been here ever since. He enjoys teaching youth and adults about the Jewish culture and is particularly proud of his involvement in the community and the fostering of positive interfaith relationships. He is very active in the local Tallahassee community, serving as co-chair of the Tallahassee Equality Action Ministry (TEAM), a faith-based social justice organization for two years. Along with other local clergy, Rabbi Romberg launched Tallahassee Interfaith Clergy, which now has more than 50 local clergy on its membership rolls. Rabbi Romberg sat on the editorial board of the Tallahassee Democrat for one year and is still a regular contributor of editorial columns on a number of issues. He is a frequent guest lecturer in a number of classes at Florida State University. In 2007, Rabbi Romberg served on the "Religious Study Dietary Group," a state panel that analyzed food issues in Florida prisons. He was active in the fight against the Florida Marriage Amendment as a member of the Florida Clergy for Fairness. More recently, he is a founding member of “The God Squad,” a local panel of 5 clergy who host the popular “Faith, Food and Friday” series sponsored by The Village Square. Currently, he serves on the boards of the Tallahassee Symphony Orchestra and The Village Square. Regionally and nationally, Rabbi Romberg is the immediate past treasurer of the Southeast Central Conference of American Rabbis, has chaired the school committee for the URJ's High School in Israel program (Eisendrath International Exchange Program) and is also a member of the President's Rabbinic Council for HUC-JIR. Rabbi Romberg greatly enjoys the Tallahassee community, with its intellectual and cultural opportunities. He and his wife Audrey are very proud of their two daughters, Carrie and Abby, their sons-in-law Andy and Jamie, and their three beautiful grandchildren, Amelia, Simon, and Libby. Finally, as anyone who walks into his office quickly learns, he is a dedicated fan of Philadelphia Eagles football and Phillies baseball.